Lumberjanes is quite the success story, going from a limited-series run to an ongoing due to demand. Plus, issue #4, out July 9, has had orders greater than those for the first issue, demonstrating rare sales growth. 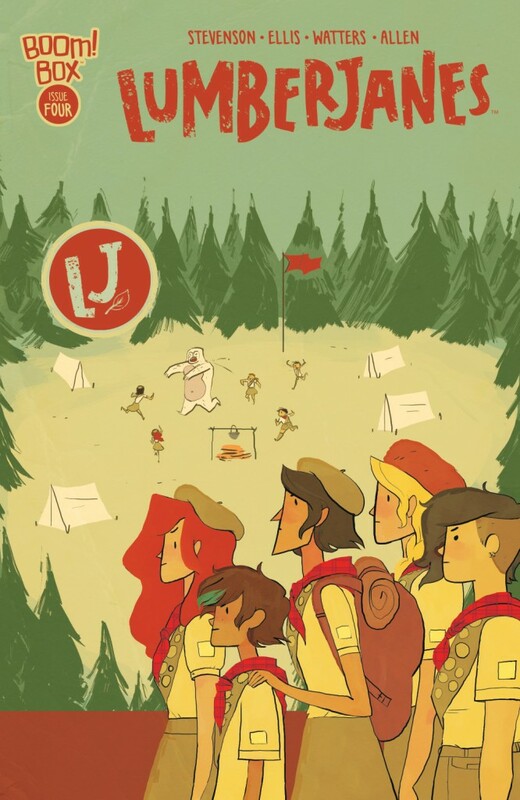 Here’s the cover for that issue by Noelle Stevenson, emphasizing the scouting background of the story. The series is written by Grace Ellis and Stevenson and illustrated by Brooke Allen. To commemorate the series — and tie into the theme — Boom! 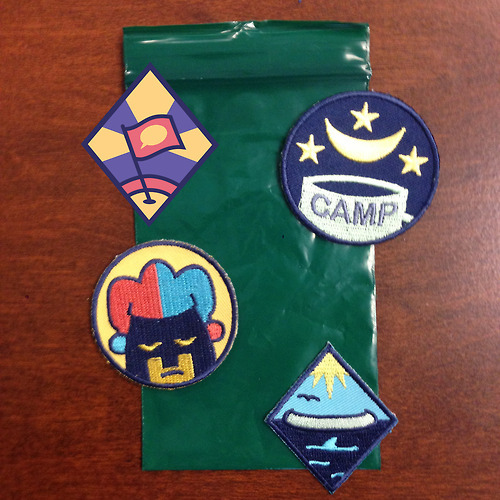 has announced that they will be selling a set of iron-on Lumberjanes Scout Patches at the San Diego Comic-Con later this month. Most of the badges have featured in the comic already, with the exception of the top left CON-Quistador Badge. All of the embroidered patches were designed by Kate Leth. The set can be bought for $20 at Boom!’s convention booth. The badges will be for sale at Boom!’s website later.